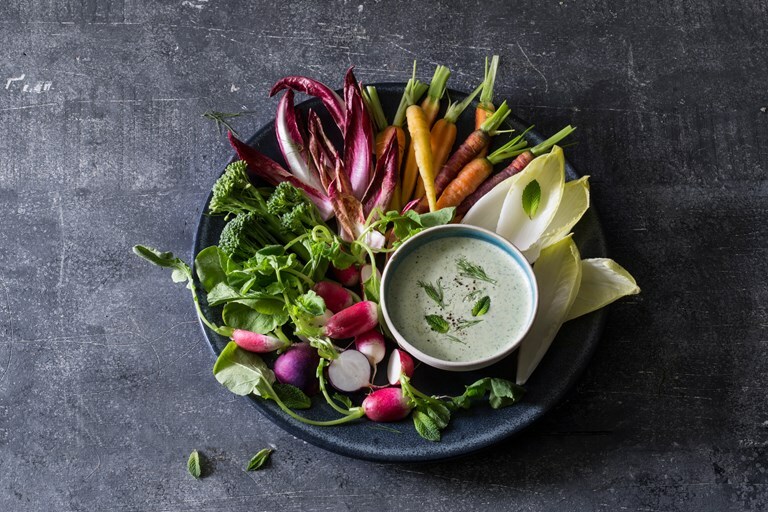 This heavenly feta and yoghurt dip recipe from Ren Behan is perfect with an array of colourful crudités, or indeed as a side to grilled meats and vegetables for a summer barbecue. Using the Vitamix allows you to whip up this flavourful dip in under a minute, while still retaining a little texture. As the summer drawers nearer, this is the perfect dip to serve with fresh vegetable crudités. This dip also goes well with grilled meats or vegetables, or drizzle a little over some wholemeal pitta kebabs filled with chicken or lamb. This recipe was made using a Vitamix S30.